Carpentry services are very often needed, either for construction and home improvement or for fine woodworking to produce wood furniture, for example. Whether you are looking for a carpenter who repairs your door frame, a professional counting with the best carpentry tools for small wood projects or someone who takes over all your house joinery, you will find the perfect deals thanks to the best carpenters in Oxford. Think what is exactly what you are looking for so that you can check the carpenter’s experience. It doesn’t make sense to hire someone who is mostly distinguished because of how he builds up wood chairs to install wood floor or fabricate a wood door, right? Ask for references and look for them online too. Decide what will be your budget. Get in contact with the companies thanks to the Infoisinfo directory and ask for quotes. Ask for information about former projects, the carpenters training and experience and the quality of their tools for wood. Get informed about how the payment must be done and how long the project is expected to last. Try to always obtain a complete bill from the beginning so you are not surprisingly charged with additional costs at the end. Get informed about the warranty of their work and do not pay everything upfront. At Infoisinfo we always work hard to be able to provide you with the most useful information possible so that you can easily find the best products and services for you or your company in Oxford. We want you to count on the carpenters that guarantee the best results in Oxford. For this reason, we have prepared a list of the best carpenters in Oxford for you to choose from. Get in touch thanks to the contact details provided, such as phone numbers, websites, address and opening times. In addition, you can have a look at comments and valuations from other clients to get a better idea about the carpenters. 99% if the waste is taken recycled. Builders Mixed Waste Removed For Only £160 Green Waste Removal £95 We remove all kind of garden waste including domestic and builders waste. 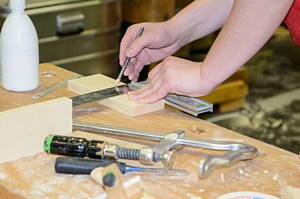 Our main categories are carpentry and carpenter. Quality carpentry & joinery, with all aspects considered in both fields. Builders and carpenter are the main categories of this business. Joiners Oxford, Local Joiner Oxford - Hillcroft Joiners Oxford.